Register to join the webinar and click on the link you receive in your email. 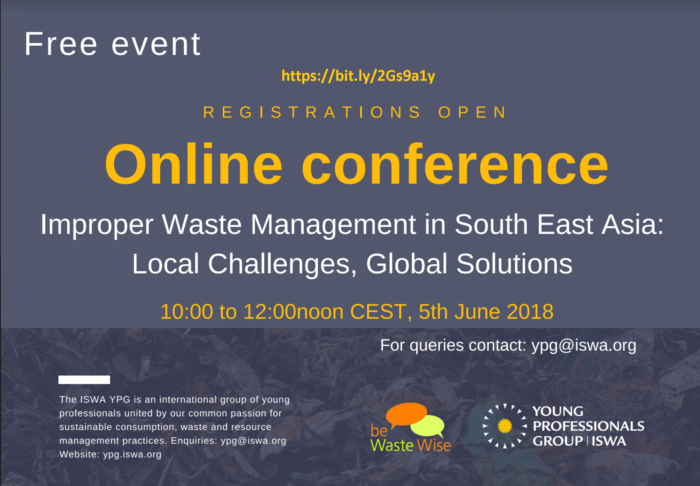 The 1st International Solid Waste Association Young Professionals Group (ISWA YPG) Online Conference provides a platform for researchers worldwide to share potential solutions and the consequences of inadequate waste management in South East Asia. 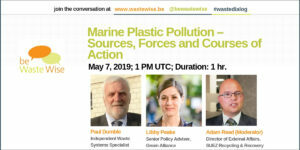 This event is part of our knowledge partnership with the International Solid Waste Assocation (ISWA). ISWA’s Young Professionals Group (YPG) is an international group of young professionals united by common passion for sustainable consumption, waste and resource management practices.